You are invited to subscribe to a new Sugar Beet Cooperative. The initial subscription rate shall be €1,000 per member. The proceeds of this initial subscription will be used by the Sugar Beet Cooperative to fund an equity stake in a new company in conjunction with Beet Ireland. This company will be the commercial vehicle for the ongoing development of this project at a site in Kildare, that has been acquired by Beet Ireland. Our aim is to develop a Sugar & Bioethanol Industry in Ireland with your support. Please fill out the form with your details so you can be part of this new and vibrant opportunity. I consent to Beet Ireland collecting, retaining and using my personal data supplied above for the stated purposes of setting up a Sugar Beet Cooperative and registering me as a member of this cooperative. I understand I can withdraw this consent at any time. 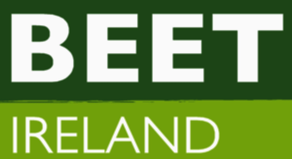 BEET Ireland is organising a number of meetings over the coming months to present an opportunity to growers interested in growing sugar beet for a new Irish sugar industry. Please do not miss this opportunity to have a role in the future Irish sugar industry. Farmers with over 30Ha. must grow 3 different crops. Why not grow sugar beet as a main crop ? Apart from being an excellent break crop for cereals sugar beet is the most profitable arable crop available. Farmers whose holding exceeds 15 ha. must ensure 5% of all arable land is allocated to EFA. Areas with catch crops or green cover( not for grazing or harvesting) for purpose of nitrogen fixing can be considered. CAP Reform 2015 abolishes EU Sugar Quotas in 2017. The redevelopment of the Sugar Industry has begun! We are Farmers representing Farmers who are bringing about a return of the Sugar Beet Industry to Ireland. Join us and own Irish sugar again. Contact us if you want more information or if you want to register your interest in growing sugar beet in 2018.